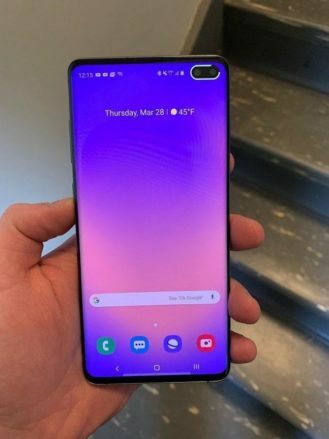 The hole-punch shaped front cam on the Galaxy S10 family might have been an eyesore for some, but that only lasted all of two minutes. Soon, creative users were making wallpapers to fit perfectly with the cutout, then they established a subreddit for them, and Samsung got in on the fun in an official manner. 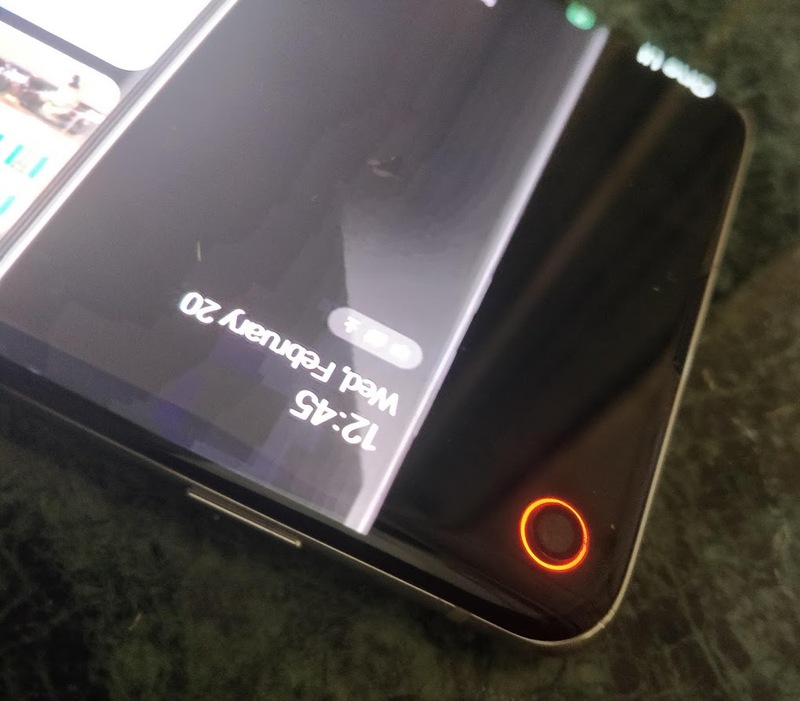 But if wallpapers aren't your thing, or if you want something to hide that camera in other apps, there's now another approach. 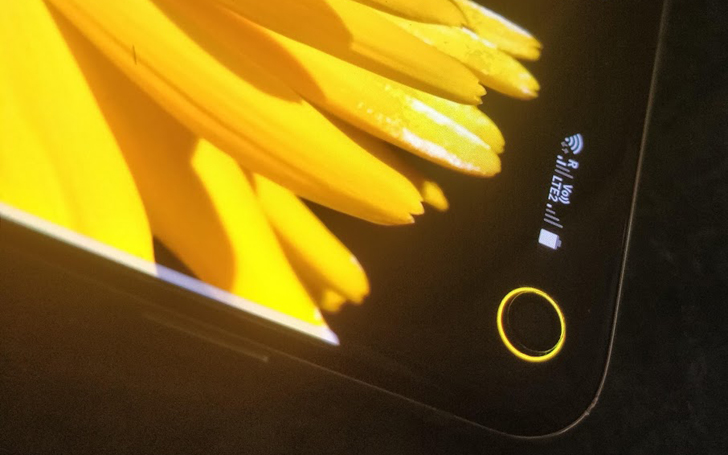 Energy Ring, a new app, puts the battery indicator right around the camera hole, almost making you forget about it. The app comes from IJP, a developer who has experience making custom battery indicators for Android such as Energy Bar and its curved equivalent for the S8, S9, S10+. 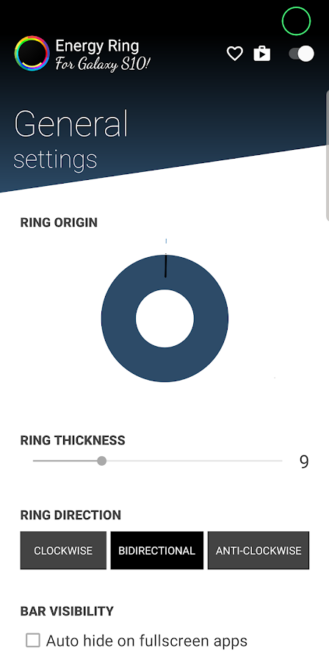 With Energy Ring, you can customize everything about the battery circle: color, thickness, direction, and even choose different colors for each 25% increment. 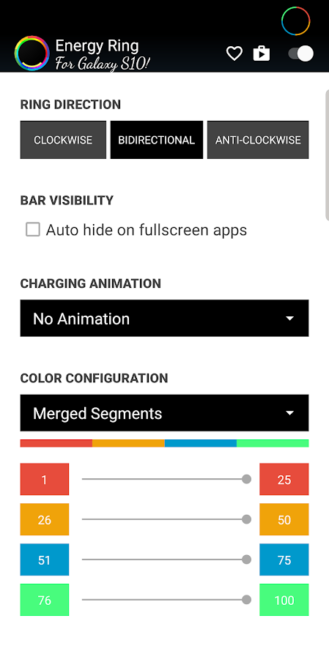 A setting lets you disable the indicator on fullscreen apps so you don't have it there when watching videos or playing games. The app is currently optimized for the Galaxy S10 and S10e, but support for the S10+ and its larger dual front-facing cam module is in the works. The developer is quick to point out that even though the app requires notification access, it only uses it to actually do its thing, and that the app's own battery use is minimal. If that answers your doubts, you can grab Energy Ring for free from the Play Store. Some IAPs let you unlock the more special customizations of the app. 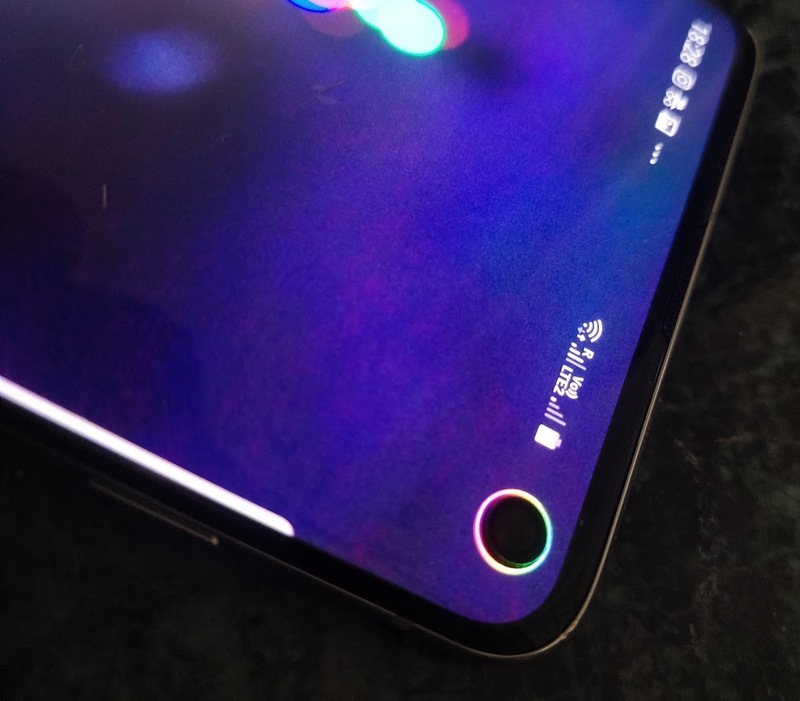 The app has received a few updates over the past week to add support for the Galaxy S10+'s dual front-facing cameras. It still seems to be in "beta" (not an official beta, just the dev's way to say it's not perfect yet), but after a few iterations, some fixes to alignment and landscape orientation, it seems that things are working well enough now for you to give it a try.